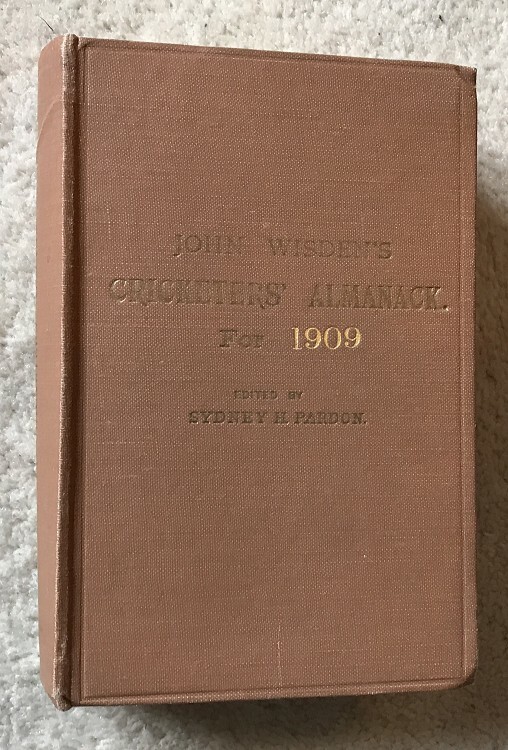 This is a rebound 1909 Wisden , it is rebound in the Publishers Rebind Style without covers bound within. It runs from page 5 to 560 so the odd advert missing too. Internally this book is in wonderful condition, very hard to fault and tightly bound with a super photoplate and tissue paper and in the collectable "publishers rebind" style.